The Bearhouse Characters are all named after famous places or landmarks be it palaces, castles or visitors attractions right here in the UK. 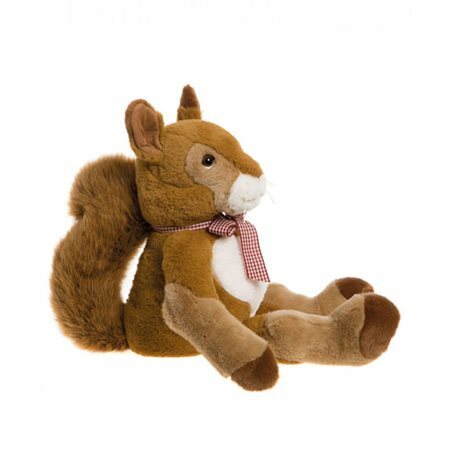 Sandringham the red squirrel is made from beautiful plush materials. He looks alert with his perky short ears and a has a huge bushy tail . He has gently bent legs so he can sit on a shelf, window sill or bookcase of any bedroom . He is softly lled and weighted for the perfect cuddle. Ready for any adventure and happy to help creating childhood memories. All Bearhouse Bears are machine washable and suitable for any collector aged 18 months or older.